Video: How Long Does It Take To Ovulate? Home → Fertility Charting → Video: How Long Does It Take To Ovulate? A woman needs to ovulate each menstrual cycle in order to become pregnant. During a healthy menstrual cycle, a series of hormone secretions lead to the maturation of a dominant follicle in the ovary and release of an egg or ovum (ovulation) to meet a sperm for fertilization in the fallopian tube. 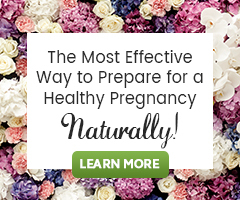 For a variety of reasons some women don’t know the events that need to happen for ovulation to occur, or when they ovulate each menstrual cycle, and many others suffer from ovulatory dysfunction or anovulation. Failure to ovulate is one of the primary causes of infertility. This video showing ovulation is brought to you by Manipal Hospitals, a multi-specialty hospital located in many major cities in India.